If you need to hit the road with very little lead time, you might expect to pay top dollar for your hotel, flight, rental car and other needs. 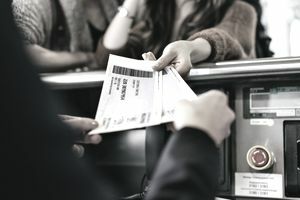 After all, some airline and hotel membership programs won’t allow you to book using points at the last minute, which means cash will be king -- and your options could be limited. Fortunately, there are a few ways to mitigate this common problem. Not only have companies established clearinghouses where you can find a collection of the best last-minute travel bargains, but there are also specific strategies that you can use during your hunt. Check out these quick tips to get the scoop on how to travel for less. When most of us get ready to plan travel, we head to an aggregate site that searches multiple airlines or hotels and returns the top listings. That should definitely be part of your travel hunt plans, but it should never be the only part of it. Instead, you should employ a multi-platform strategy. Once you check the aggregate sites, take note of which companies offer the best prices. Then head to the individual airline, hotel and/or car rental websites with those low prices to see if they feature any better offers directly on their sites. If not, pick up the phone and call. In our test of this method, we searched Hotels.com for a hotel available the next day in Chicago. After seeing a low price of $179 listed for a particular Hampton Inn property, we checked the Hilton site and searched for rooms there, where the same room was listed at $170 for Hilton Honors members. We then phoned the hotel in question and asked whether they were offering any deals for the next evening. The hotel manager asked for the Hilton Honors number before searching for a price. This demonstrates why it’s a good idea to join the free travel programs that the hotel, airline, rental car, and other firms offer -- some deals are only available to members. When he came back on the line, he said he couldn’t offer a deal on the room we asked about (which had two queen beds) but could offer a room with a king-sized bed for $155 per night. You can use this same strategy with any other hotel, airline or other firm. Although taking this approach requires more time and creates additional work, it’s definitely worth your time. If you save $24 per night with this method (as we did in our search) and you plan to stay for five nights, that’s a savings of $120. Even if Expedia, Travelocity or one of the other aggregate sites is your go-to destination, you should also put a few additional companies on your radar screen when your travel is taking place in the near future. For example, you might try LastMinuteTravel.com or GoLastMinute.com and search using your travel criteria. Keep in mind, however, that these sites seem to offer better deals for last-minute vacation travelers than for those who find out they have to travel for non-relaxing reasons. In other words, you may find an incredible deal on a cruise to the Caribbean that leaves in a week using these sites -- and fewer deals on a required quick trip to Chicago for next weekend. However, if the deals you’re seeking do involve a quick getaway, you can find prices up to 75% off the normal costs using these sites. Companies like cruise lines and resorts want to fill available rooms when other travelers cancel at the last minute, and their loss can be your gain. If you find out you suddenly have a free week, it can be worth your while to book an unplanned vacation to these locations. Most websites will allow you to mark a box that says “flexible travel dates” or some iteration of that phrase when performing online price searches. This allows the site to search for travel on the dates you selected -- but it also shows you better deals available on other days. In some cases, you may find that mid-week travel will save you big money, while in other situations, a Saturday night stay allows you to conserve cash. Therefore, even if you need to be somewhere soon, it could be worth your while to time your travel in a way that saves you the biggest bucks.